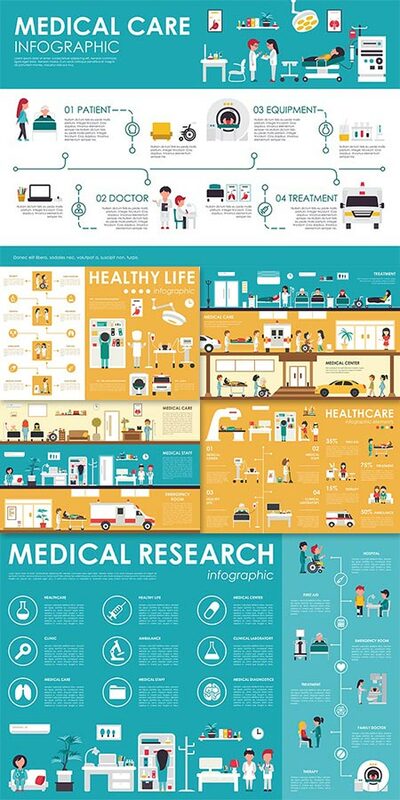 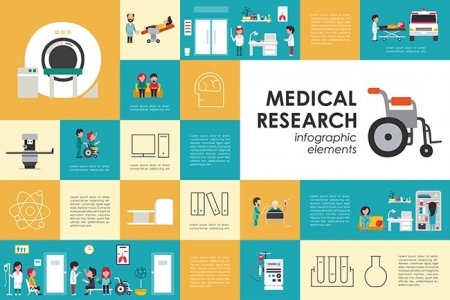 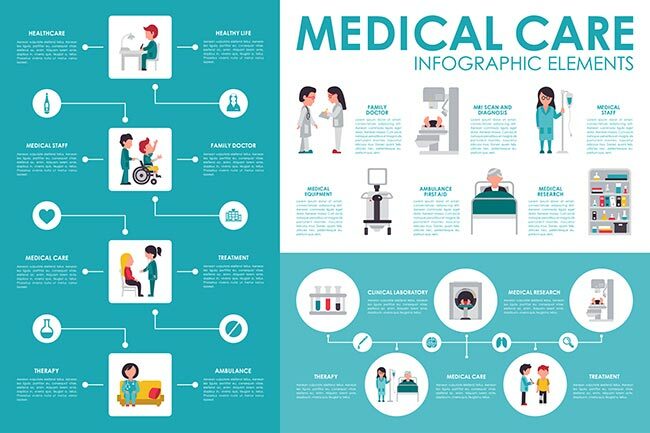 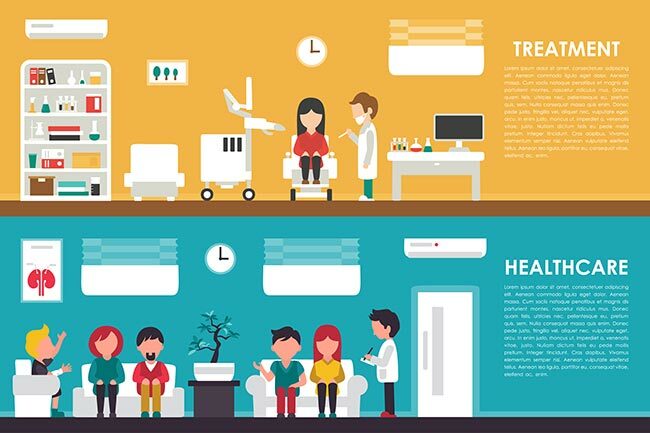 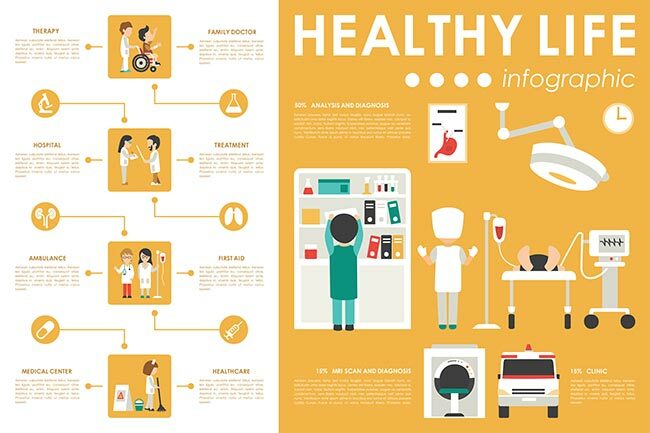 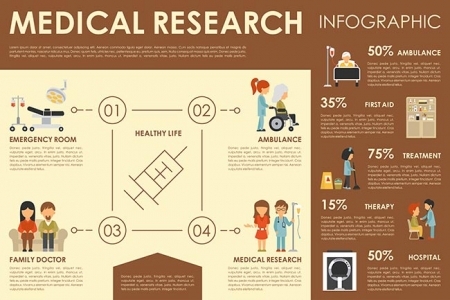 Flat infographic designs of 15 medicine related vectors, that shows valuable information about various fields, such as medical health or care and medical research or treatment. 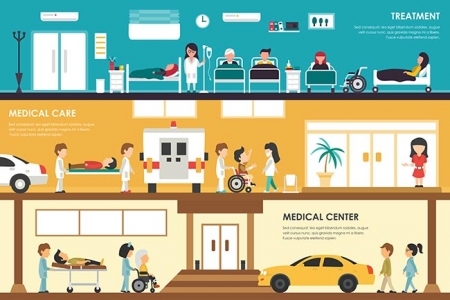 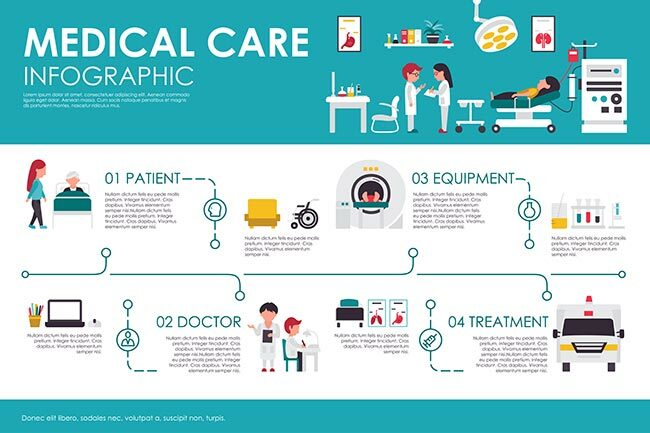 This collection of vectors is perfect not only for understanding different processes a patient is put through during hospitalization, but also for getting a perspective of how medical health works. License: You can use Medical health care vector infographics for personal or educational purposes.